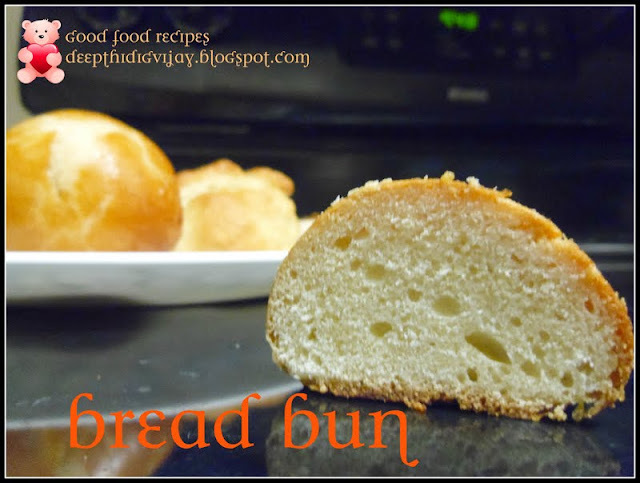 Before sharing the recipe with you, I have a small story to share. Few years back, that was my first visit to a restaurant in USA with my hubby, it was a Mexican restaurant. We were very formally greeted and seated as we entered the restaurant by a nice lady and menu cards were handed. I being new to the Mexican food, asked my hubby to suggest any vegetarian dish that I could enjoy. There were only few options in the menu which include salad, some cheese burritos and vegetable fajita. So he ordered salad for appetizers and soon it arrived on to the table. I never had lettuce or any raw food before in India. The only thing that came on to my mind was a GOAT! yup, because my brother used to say that I eat leafy vegetables like a goat, but I never agreed because I used to say that goats eat raw leaf not me, but now what am I doing! I was glad that my brother was not around. I soon laughed out loud looking at a salad and my hubby had a question mark on his face about why am I laughing and I soon explained him the same. Even I used to feel creepy when I saw people eating raw vegetables, and later I closed my eyes prayed to god and had a first bite of it, immediately I had to open my eyes and say wow! I loved it. From then salad became one of my favorite food. 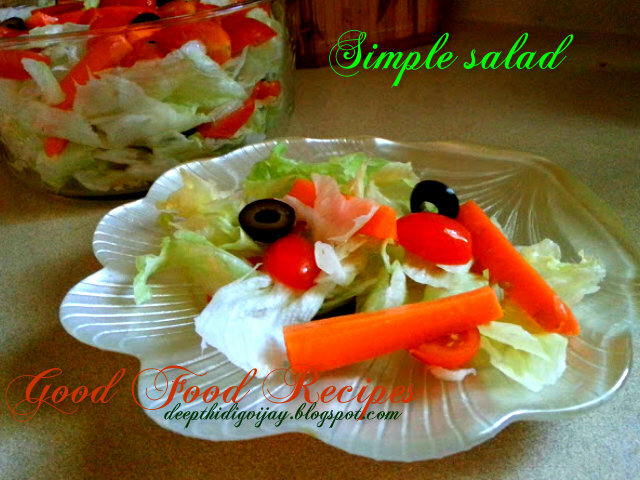 Today I am sharing with you the simple salad recipe with simple dressing. Wash and chop lettuce and add all other ingredients and mix well. Mix all the dressing ingredients in a small bowl and add it on top of the salad before serving. You will love it. Refrigerate the salad before serving. You can also add avocado if you like. Thank you for stopping by. I hope you like it! Salad is really a must in lunch. Whereas in dinner you can skip it. this will definitely go well with my salad recipes... Thanks for this! Perfect! Gonna at this in my list of to make recipes! Can I share it in my blog at http://foodsuncovered.wordpress.com/? French food dictionary was then but these days help is on hand with a neat little pocket book called The A-Z of French Food - Dictionaire Gastronomique Francais-Anglais which comes highly recommended by Hub-UK.